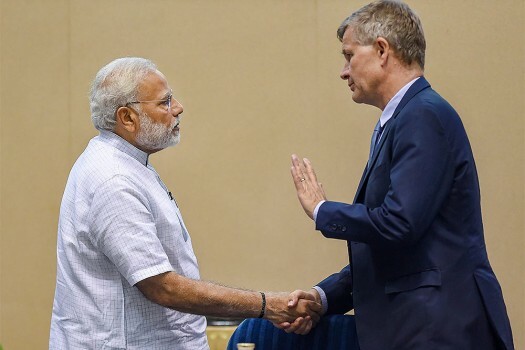 Prime Minister Narendra Modi shakes hands with United Nations Environment head Erik Solheim at the Plenary Session of World Environment Day, in New Delhi. 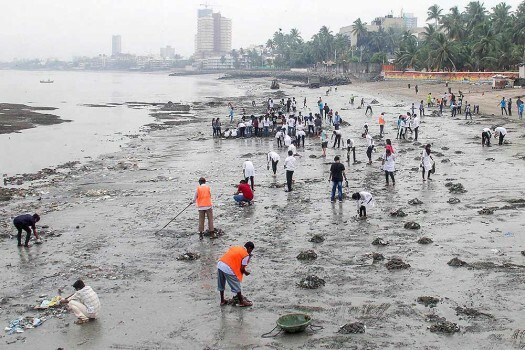 Volunteers remove litter during a beach clean drive, at Dadar Chowpatty on the occasion of World Environment Day, in Mumbai. 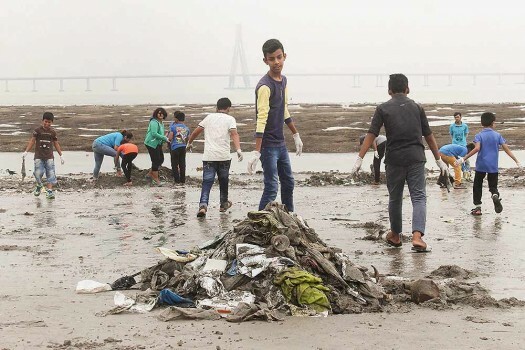 Children and volunteers take part in a beach clean drive, at Dadar Chowpatty on the occasion of World Environment Day, in Mumbai. 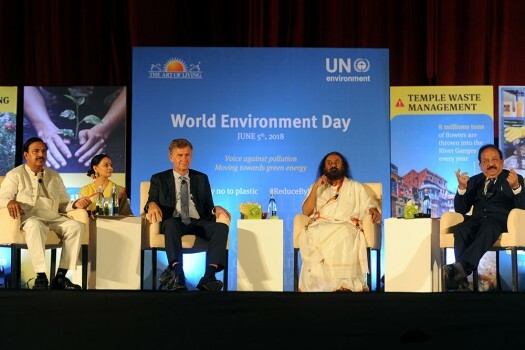 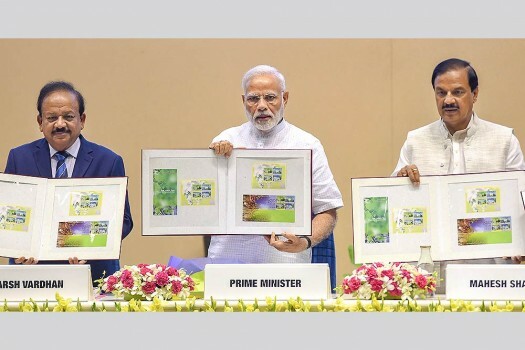 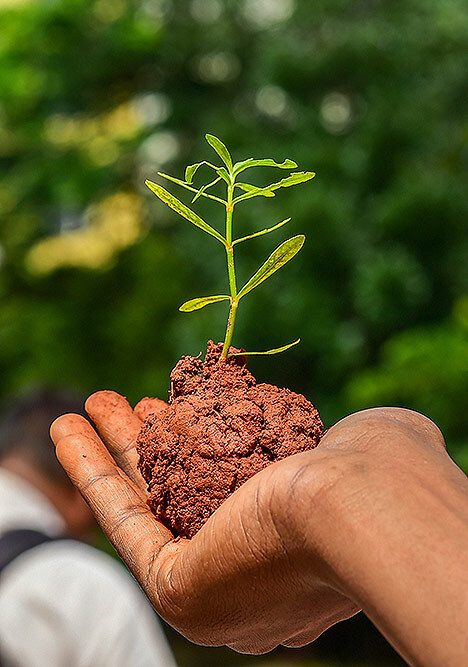 Art of Living (AoL) Founder Sri Sri Ravi Shankar during a programme on World Environment Day at Jawaharlal Nehru Stadium Auditorium in New Delhi. 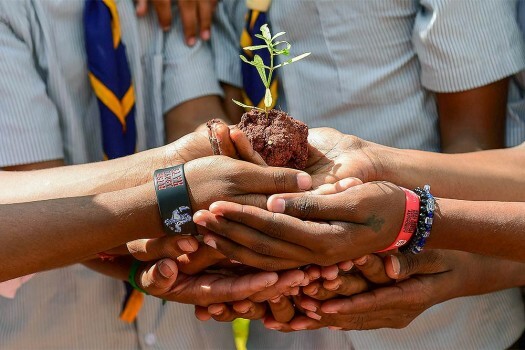 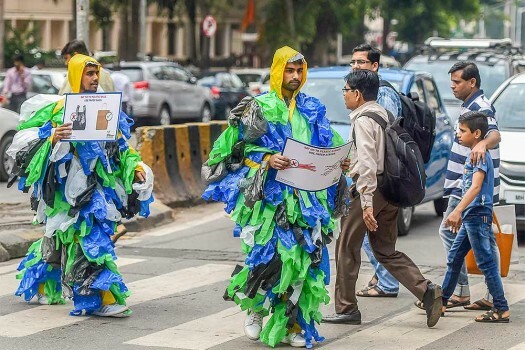 Volunteers of Sant Nirankari mission form a human chain to spread awareness about the harmful impact of plastic on the enviorment on 'World Environment Day', at Ridge in Shimla. 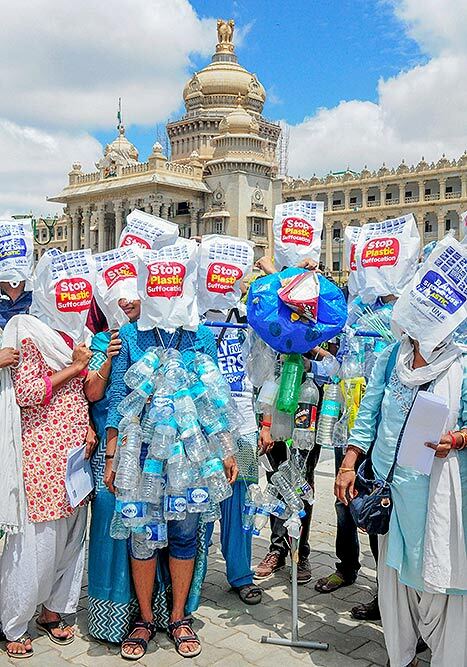 Members of an NGO stage a demonstration to raise awareness on the occasion of World Environment Day, in Bengaluru. 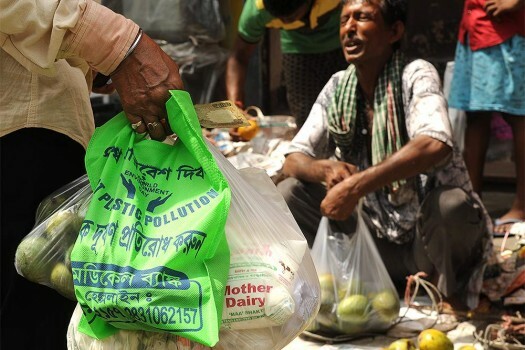 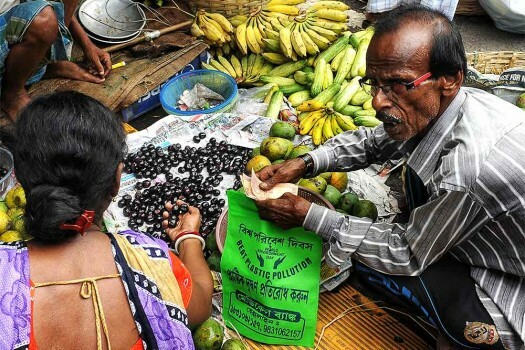 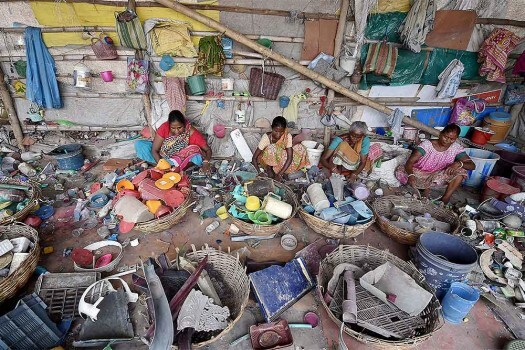 People uses free paper bags distributed as part of awareness campaign to mark World Environment Day, in Kolkata. 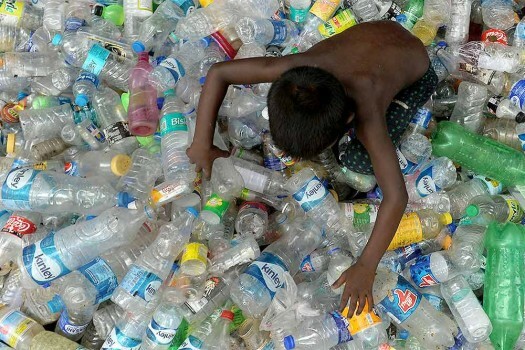 A boy plays near discarded plastic bottles in Kolkata on World Environment Day where theme is "Beat Plastic Pollution"
Volunteers, wearing costumes made up of plastic bags, aware people against the use of plastic bags, on the occasion of World Environment Day, in Mumbai. 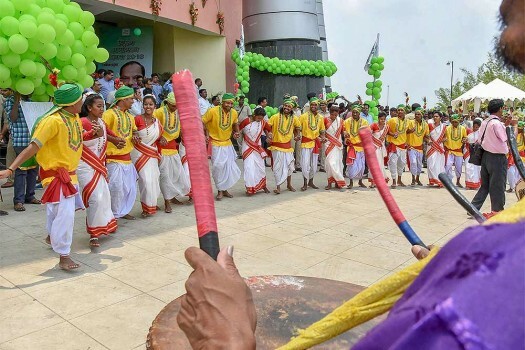 Tribals, in their traditional attire, dance during an event organised to mark the World Environment Day, in Ranchi. 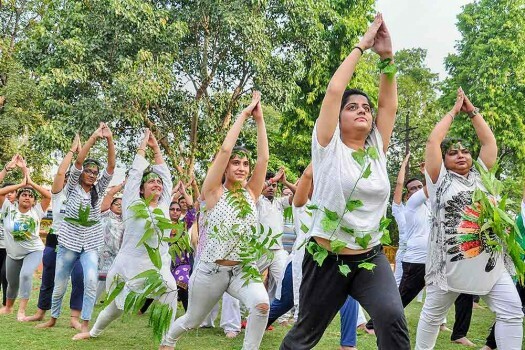 Women promote environmental awareness while performing yoga on the occasion of World Environment Day, at a yoga 'shivir' (camp) in Moradabad. 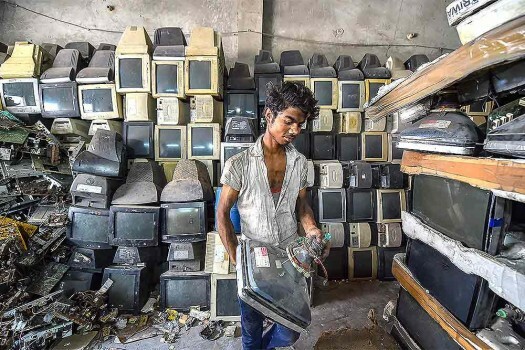 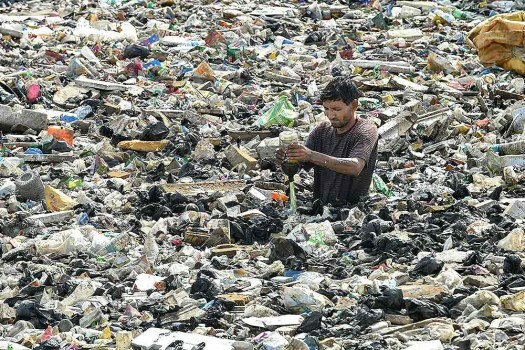 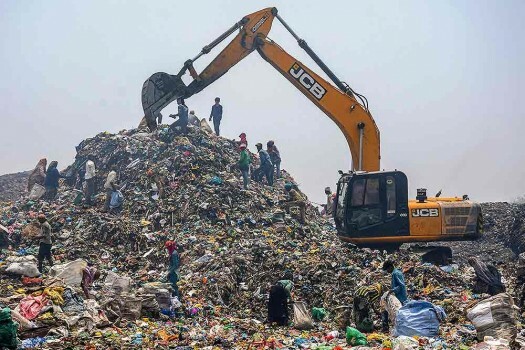 A scavenger empties a plastic bottle as he gathers recyclable items from a drain in Wadala, that eventually merges into the Arabian Sea, in Mumbai.